My wonderful Burmese kittens are house reared with love and dedication. I feed only the best quality foods so you will have a healthy, happy, outgoing and playful kitten. I have chocolate and brown queens and a lilac stud. My stunning kittens are generally pre-booked and so order early for pet, show or breeding. 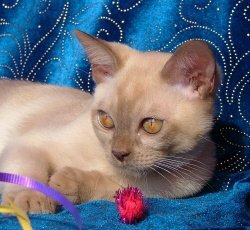 Barbiekatz Burmese kittens are raised in a loving family home with children. They are well socialised with the whole family and other pets. Before going to their new homes our kittens are fully litter trained, vet checked, vaccinated and microchipped. After sales advice and support is offered whenever possible. 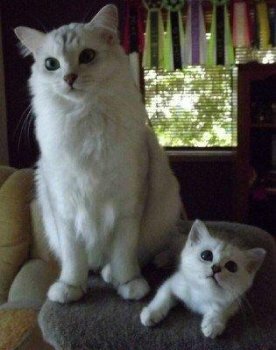 All our breeding cats have been tested for the Burmese genetic disorder Hypokalemia. Visitors are welcome to come and meet our beautiful cat family by appointment. Welcome to Mooloosa, breeders of beautiful Burmese cats. We have owned Burmese for 15 years and just can’t get enough of them. We love their playful personalities and smoochy cuddles. Our cats live in our house with us as do the kittens. As a result we have super friendly, confident and well socialised babies when they go to there new homes. Our kittens are of course checked at least once by the vet, microchipped, vaccinated, wormed, litter trained, fully weaned and free of fleas when they go to their new homes. We are located in the Mary Valley, 1 hour from the Sunshine Coast and 20 mins south of Gympie. We love showing off our lovely cats, you are more than welcome to visit them by appointment. Deneden is a small boutique breeder of solid colour Burmese situated on the Sunshine Coast breeding for temperament and type. I am situated at the foot of the Blackall Range on the beautiful Sunshine Coast. I pride myself on breeding happy healthy kittens who are well socialised and reared under foot. I breed kittens for showing, breeding or as a bed buddy. Most colours are usually available. My babies come with a Registered Pedigree, 2 vaccinations they are micro chipped and desexed. All information is sent to you for the care and settling of your new kitten. A pet pack and Royal Canin Dry food is provided. Make your life complete buy a "Jampadekyi Burmese" or two, Burmese are very addictive. Welcome to Brampets Burmese. Home to some of the most beautiful Burmese cats that are our much loved family members. Here at Brampets we have been breeding Burmese cats for over 20 years. We are a small selective breeder with only a few of the best cats that we have imported for their very sound health and cuddly Burmese temperaments. I have been a vet nurse and animal welfare inspector for many years and take pride in breeding lovely Burmese. Please give us a call for a chat about Burmese anytime! Welcome to Aztec Burmese we love our felines & hope you have the time to come & visit us to view our Beautiful Kittens & Cats. All Stud, Cat & Kitten Enquires Welcome. 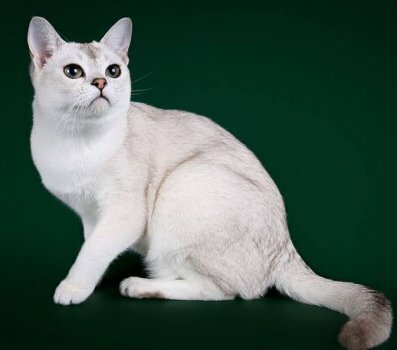 I have been breeding Bootlace Burmese for the love of a beautiful breed. 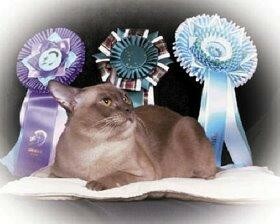 I have strived to breed quality Burmese since 1998. My kittens are well socialised with children and dogs and are just delightful little people. Healthy, happy, robust kittens, trained to litter trays, vaccinated, desexed and vet checked. I am very proud of my reputation and achievement in the show ring and as a breeder of quality loving Burmese making fantastic companions in all colours. Beautiful Burmilla Longhair and Shorthair. Also wonderful Burmese. All of our kittens are born and raised in our home for socialisation, are vet-checked, desexed, vaccinated and microchipped before they leave us. Our breeding cats have all been DNA tested and are negative for Hypokalemia and PKD. We are a small cattery dedicated to the breeding of beautiful, affectionate and the highest quality kittens. A Bahati kitten is raised with the highest standard of cleanliness and health, they are lovingly cared for and are well socialised in an indoor environment. All kittens are desexed, vaccinated and microchipped prior to going to their new home. All breeding cats have been DNA tested. Enquiries welcome. 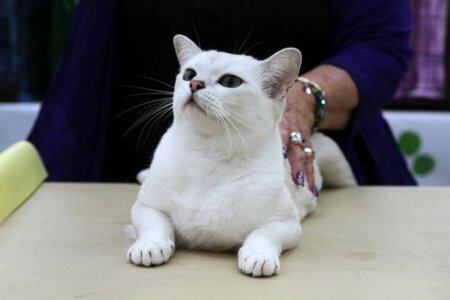 Shezarda Burmilla Cattery was QFA approved in 1999. My aim has been to breed strong, healthy kittens of the best possible standard. Kittens are available occasionally for pets, showing and to breeders with an approved Burmilla breeding program. "HAPPILY DEDICATED TO THE NEVER ENDING PURSUIT OF AN IDEAL".